Decentralized innovation management – What was once a luxury has become a necessity for most organizations. Executives are fast-realizing that idea generation includes, but is not limited to a few senior directors. Today’s disruptive digital enterprise era demands the need to swiftly generate, experiment and execute new innovative ideas in order to stay relevant and gain the needed competitive edge. And these ideas should be generated and validated at all levels of the organization for meaningful implementations and powerful business outcomes. As more and more organizations started looking to introduce innovation and idea management softwares, there is constant influx of new vendors into the market. 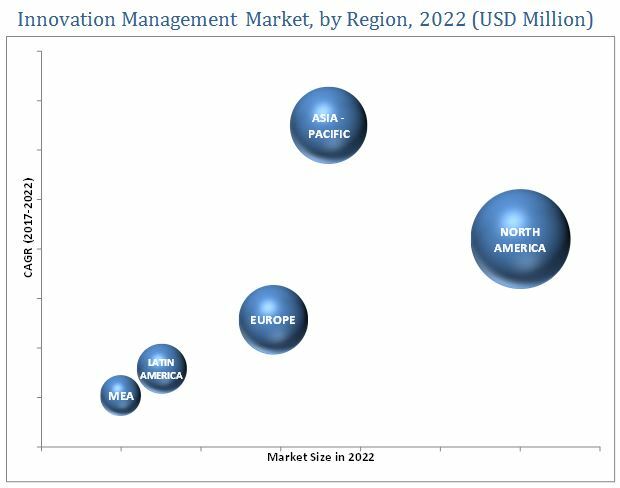 MarketsandMarkets Research predicts that the Innovation Management market is projected to grow from an estimated USD 421.6 Million in 2017 to USD 1,519.2 Million by 2022, at a Compound Annual Growth Rate (CAGR) of 29.2% during 2017–2022. Forrester also claims that 53% of global services decision-makers said they are investing in emerging innovation and idea management technologies to drive innovation. But out of all the available ideation softwares, how do you determine the right one that fits your organization’s needs? As you already might be knowing, rushed investments in un-fit technologies without proper research will lead to low ROI or worse complete scrapping of the product. This blog post will provide a quick checklist which helps you choose the best idea management system. If you are a CIO or a senior executive from the innovation department, and evaluating ideation softwares, be aware that perspectives of stakeholders from multiple departments would be highly imperative for a careful selection and implementation. CIOs should work towards building a separate selection team which involves innovation and business heads in multiple departments (product development, research etc.). Thereby, the requirements of different departments can be assessed and thoughtful decision can be made. Since the chosen product is already favored by every department, adoption rates will also be high. Participation of an executive sponsor in the team is also recommended. Based on the goals defined by the selection team, desired features which are required to meet the key business objectives need to be determined. This will also help you eliminate platforms which don’t meet the criteria. Here are a few important features to watch for in a top idea management software. Powerful workflow process: An effective workflow process ensures the time between idea generation and implementation stays minimal. Here is an example of our own idea management system. There are several standalone idea voting softwares and crowdsourcing innovation platforms in the market. These generally have limited functionalities and use cases. An ideal system should provide a comprehensive assortment of all the essential features and beyond – not just standalone features like only voting or submitting. Also, choose solutions which offer flexible and customizable crowdsourcing features and can effectively prioritize and seperate the best ideas from mediocre ones. Commenting, liking, upvoting ideas are some popular crowdsourcing features. The success of any idea management solution depends on the user-adoption rates. It is crucial to make employees feel valued for their contributions. Rewarding employees with gamification features like virtual points, achievement badges, achievement levels, leaderboards with progress bars and other visual meters encourages them to submit more ideas and stay active within the software. User adoption and participation also depends on the idea management tool’s ease to use and end-user experience. A user-friendly solution for idea management requires a minimal on-boarding process. It is also crucial to check how well the software can integrate into your existing systems and applications. For instance, if you are using a collaboration platform like SharePoint, choosing a SharePoint friendly idea management software would ensure convenient deployment and functioning. This is an important one. As more and more vendors are emerging, it’s necessary to cross-check if the chosen platform can.. Truly provide the enterprise-grade security and scalability your organization demands. Supports the global presence and mobility needs of your organization. Flexibly and quickly integrate into your new and upcoming business applications. Even though most small sized vendors promise agility, their platforms possess risks like bugs, no defined processes etc. Also, there is constant threat of internal financial unsteadiness, varying market fluctuations, heavy competition from external larger-sized vendors etc. While these start-up and small-sized vendors have their own advantages, just be aware of the inherent risks. Inability to track ROI is one of the most common complaint from organizations regarding idea management systems. But by identifying the right KPIs you can easily measure the business value obtained. You can divide KPIs into two types. While these are only a few examples, as a decision-maker you should consult business managers in your team while defining KPIs (especially the indirect ones). Remember KPIs differ from one organization to another. What drives business value for one may not drive for others. Choose vendors who provide the needed calculations for tracking ROIs. Needless to say, doing a pilot project helps you mitigate risk and validate benefits of the idea management solution.You don’t want to completely roll out the software at a time only to find out your team members are not adopting it. A pilot project allows you to test not only the solution and vendor but also your employees who are meant to use it. From there, if the project is successful you can conveniently roll out the solution for the entire organization. Wave is one of the top idea management solutions which can deployed on SharePoint. It is used by several Fortune enterprises, SMBs and start-ups. Below is a quick video of how Wave functions. You can learn more about Wave and schedule a free demo here.